Several Android Wear smartwatches are expected to hit retail during the holiday season via Google Play Store. One of them is Asus Zenwatch, unveiled in September at IFA 2014. 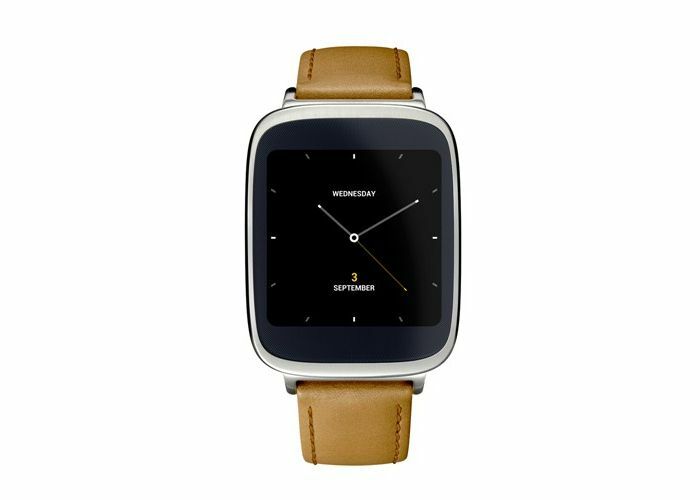 If you’re waiting for the Asus Zenwatch, you be glad to find out it will go on sale at Best Buy beginning November 9th, followed by its availability at the Google Play Store for $199. Asus Zenwatch comes with a 1.63-inch display sporting a resolution of 320 x 320 pixels and 278ppi, the display features 2.5D curved Corning Gorilla Glass 3. The smartwatch is powered by a quad-core Snapdragon 400 processor clocked at 1.2GHz, 512MB of RAM, and 4GB of internal storage. The smartwatch also features Bluetooth 4.0, a bio sensor, a 9 axis sensor, a built in microphone, and IP55 certification making the smartwatch water resistant up to a certain extent. Asus Zenwatch comes with a similar price tag as most of the Android Wear smartwatches available at the Google Play Store. Moto 360 may be an exception, but it seems that customers interested in smartwatches will have a wide range of options to choose from this holiday season. Which smartwatch are you planning to buy this holiday season? Let us know in the comments section below.